The area around Croyde is packed with adventure on land and sea. 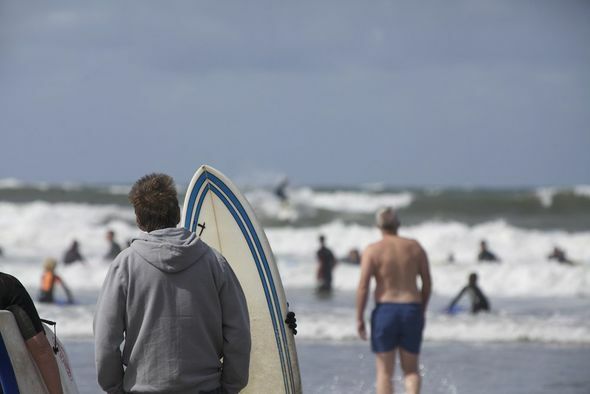 The surf that comes into Croyde Bay is acknowledged as some of the best in Britain. The beach is patrolled from April to November by fully qualified Lifeguards, making the sea a safer place to swim, surf or boogie board. Other excellent surf beaches include the nearby Saunton Sands and Putsborough. 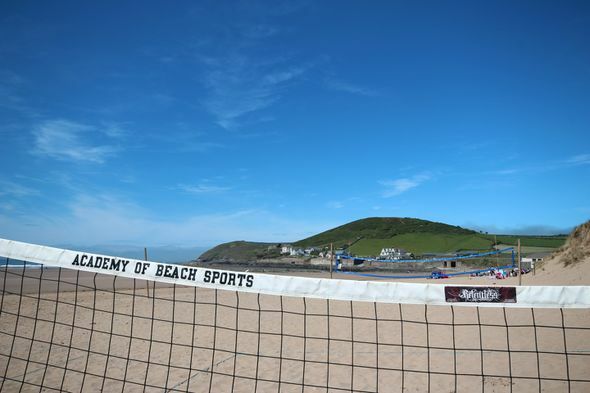 Lessons are also available for those who are interested, with the safe beaches and spectacular waves making North Devon beaches ideal for anyone who wants to learn, as well as those who are already experienced in water sports. From the cottage, Croyde beach is only a short walk away, making Oyster Cove the ideal holiday home for parking the car and heading off to the beach for sun, sea and sand. A few boogie boards and other beach equipment can be found in the garden shed. Check out the latest surfing conditions at Croyde and other beaches in North Devon by visiting Eyeball Surf Check. Baggy Point is a favoured location with sandstone slab routes and is a haven for climbers. Please note, if you are interested in using these routes, during nesting times Baggy Point is off limits to climbers (nesting time is normally from the middle of March to the end of June). For those who are up to it, a trip to Lundy will open up some fantastic and challenging climbs that also have amazing views across the Atlantic Ocean and Bristol Channel. Some fantastic coastal walks can be found around the numerous headlands between Croyde and the neighbouring beaches of Putsborough, Woolacombe and Saunton Sands. The nearby Baggy Point is a wonderful place to watch the porpoises in summer and escape the crowds. Slightly further afield, some stunning coastal walks can be experienced off Hartland Point and at the Valley of the Rocks near Lynton and Lynmouth. 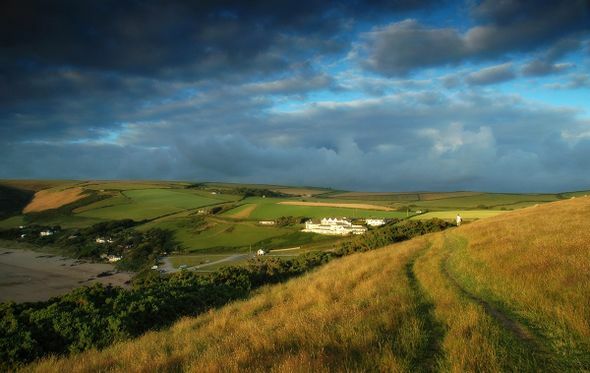 The wild hinterlands of Exmoor are also not far away and offer a completely different experience to the North Devon coastal walks. Other footpaths to explore nearby include the South West Coast Path and the Tarka Trail. North Devon has a wealth of excellent golf courses. Nearby the cottage, golf can be played at Saunton Sands on either their East or West course, and a little further afield at Westward Ho! is the renowned Royal North Devon Golf Course. These courses are some of Britain’s oldest and most attractive links courses, which enjoy spectacular views and are set within Areas of Outstanding Natural Beauty. 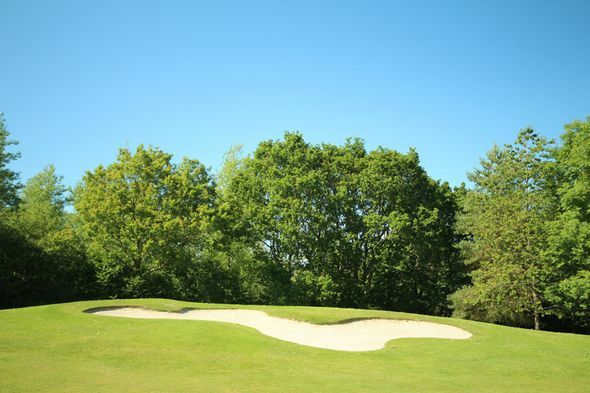 There are many more reasonably priced golf courses in the region, including Highbullen at Chittlehamholt, Willingcott in Woolacombe, Ilfracombe Golf Club and Mortehoe Golf Club. There are plenty of other water sports available in and around North Devon to suit everyone's needs and abilities. 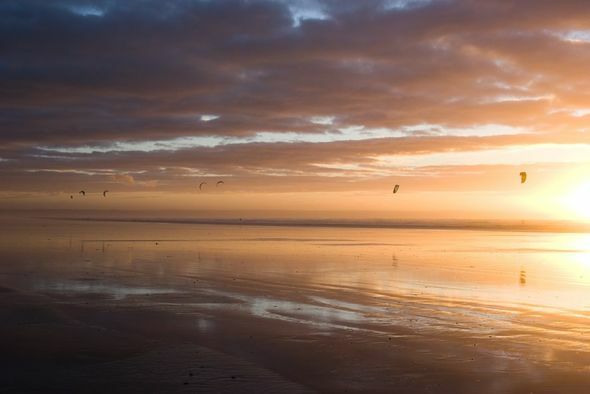 In the waters off Crowe Point and Instow, or on the sea at Saunton Sands, kite boarding and windsurfing are available. Water skiing and wakeboarding can be enjoyed at high tide in the shore waters off Instow. Lessons for water skiing and wakeboarding can be arranged through Point Breaks, who can be contacted on 07742 612 505. Inflatable rides are available for children. Croyde beach also offers plenty of activities for those looking to keep their feet dry and on the sand. At the east end of the beach, volley ball nets are in place all year round, as are the goals for beach football. 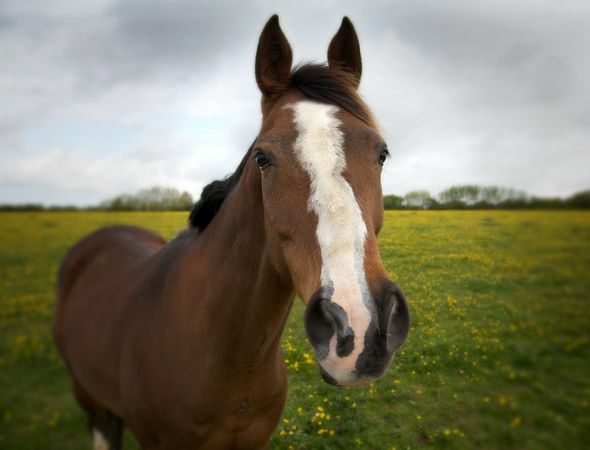 Within a 20 minute drive of Oyster Cove are several excellent riding stables. In Croyde, lessons can be taken at the nearby Roylands, with many byways and bridleways offering a variety of routes in and around the village. Some of the stables nearer Woolacombe will also offer beach rides for those with a little more experience. Cycling around Croyde is very popular thanks to its myriad of minor roads and country lanes, many of which are very quiet and set away from the coastal routes. 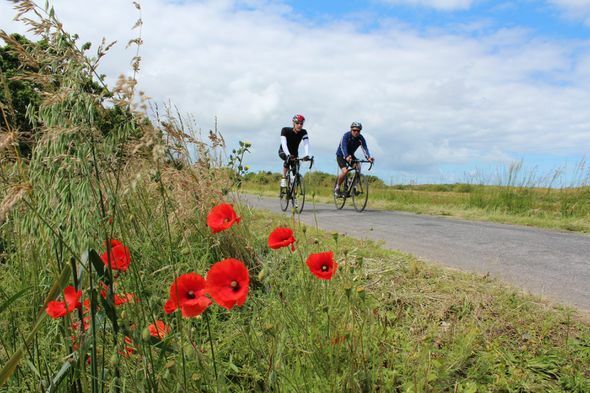 For easy family friendly cycle routes there are direct links to the traffic-free and famous Tarka Trail, which runs for miles from Braunton alongside the River Taw, with loads of pubs and cafés along the way. For the more adventurous road bikers the coastal roads through Woolacombe, Ilfracombe and Combe Martin are breathtaking. It is also well worth going on to Exmoor if you have the legs, and even if you don’t then drive and cycle! Mountain bikers can find challenging paths along the route from Nethercott to Knowle, or over the nearby headlands. There are several places in North Devon where you can hire a bike. These include the Tarka Trail Cycle Hire and Otter Cycle Hire. One of the perfect ways to explore the spectacular unspoilt North Devon coastline and its unique wildlife is via sea kayaking. Day trips can be arranged with Sea Kayaking Southwest on 01271 813 129. 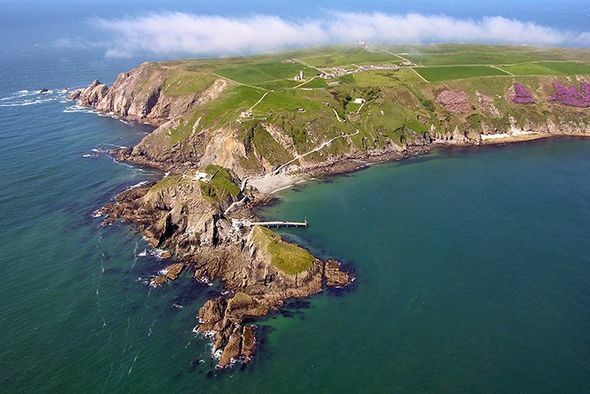 Lundy is a small island located 11 miles off the North Devon coast. Designated a Site of Special Scientific Interest, Lundy is a place of Outstanding Natural Beauty. In addition to the many walks, the island is recognised for its rock climbing, diving and bird watching. Summer boat trip services run from April to October with departures from Bideford or Ilfracombe. Alternatively, helicopter flights are available between November and March from Hartland Point. Bookings can be made via The Landmark Trust on 01628 825 925.